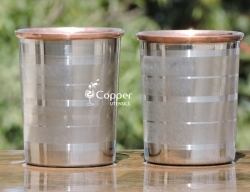 Set of two copper plated steel tumblers with matching lids and serving tray. 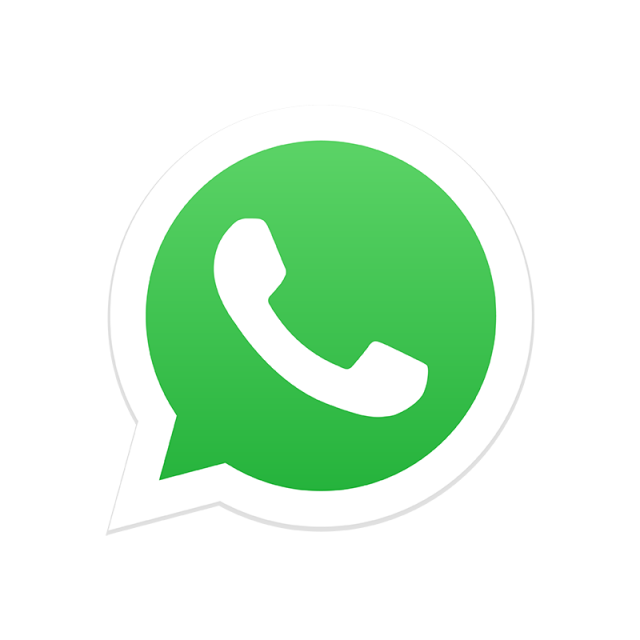 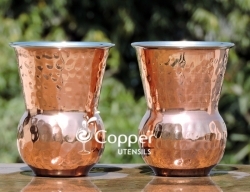 Ideal for hotels, restaurants, home, catering services, etc. 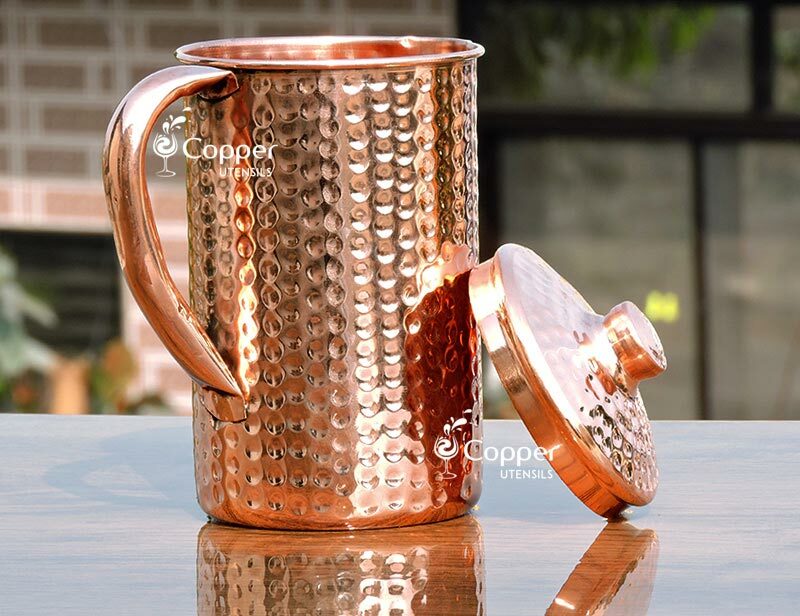 Unique shape and design to add to your kitchenware collection. 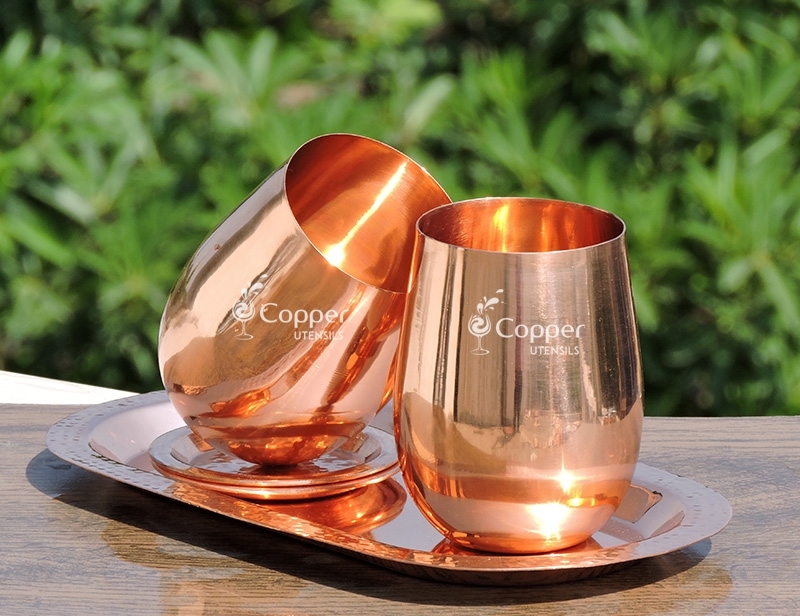 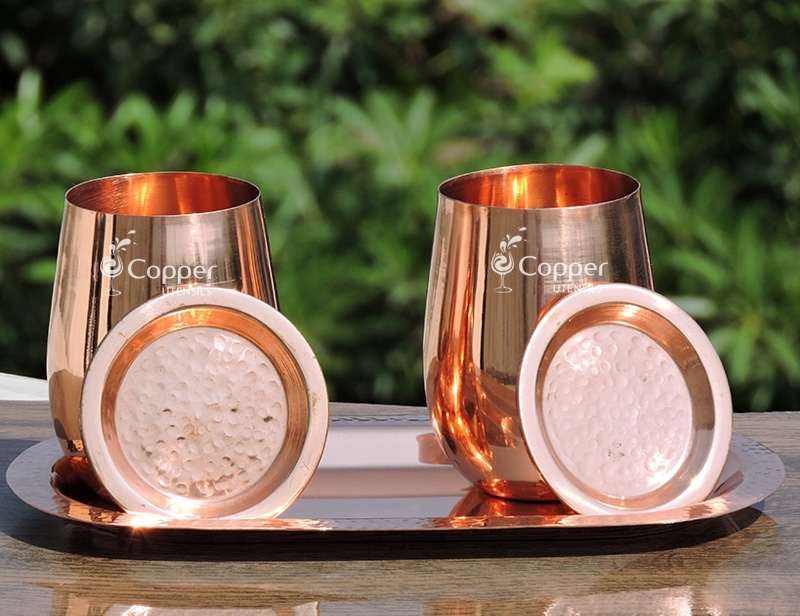 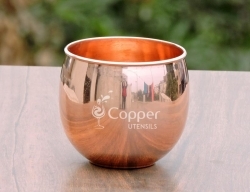 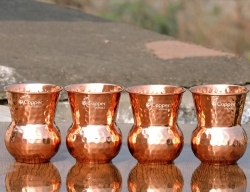 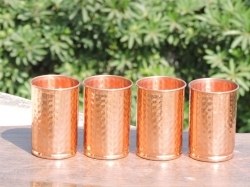 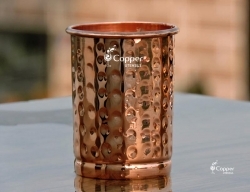 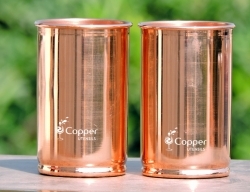 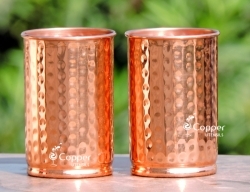 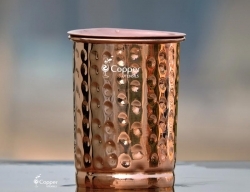 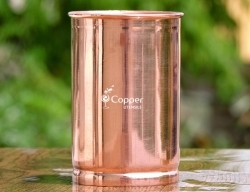 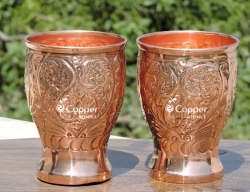 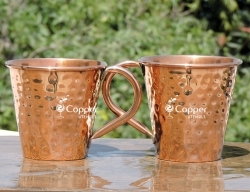 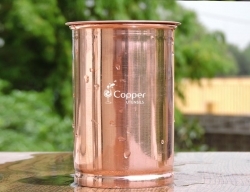 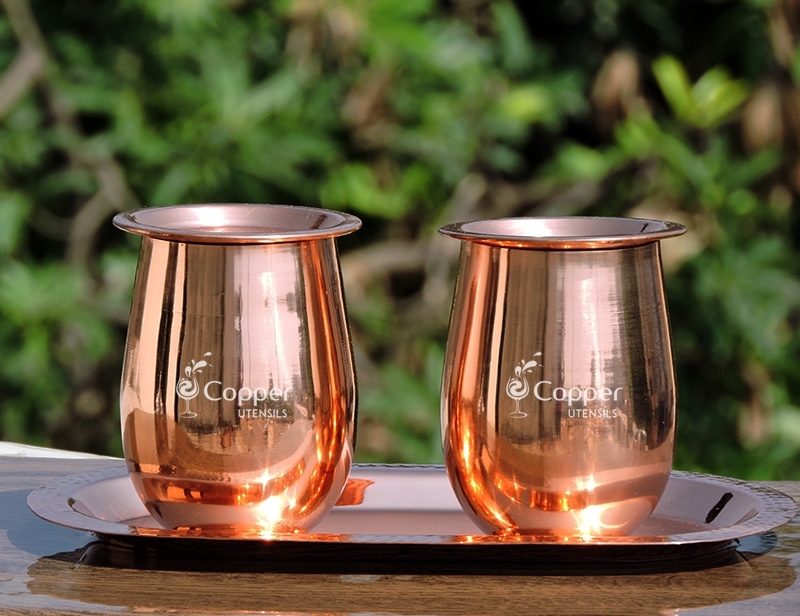 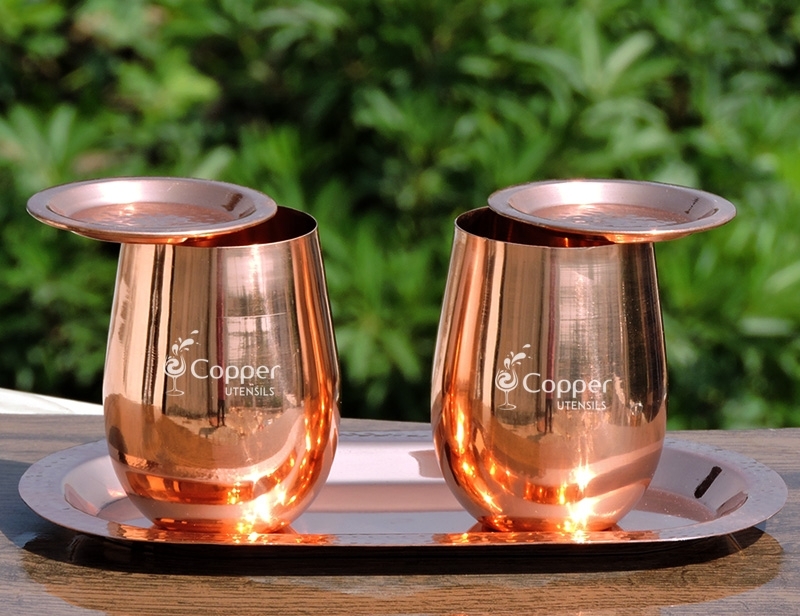 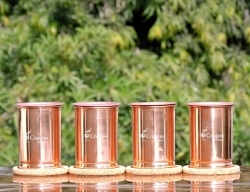 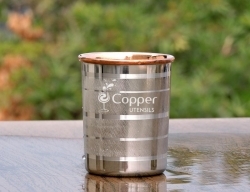 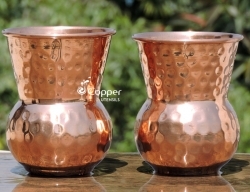 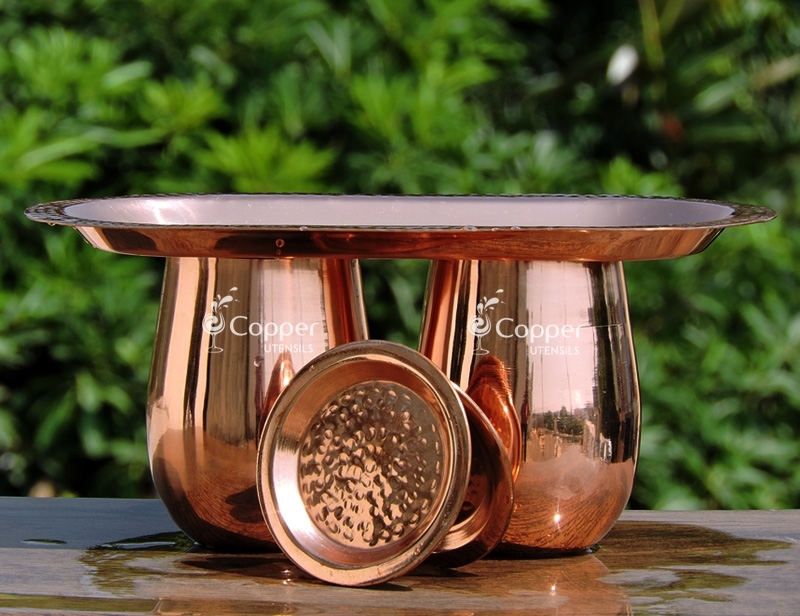 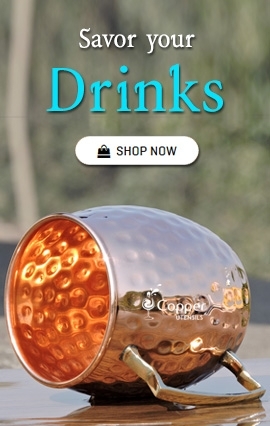 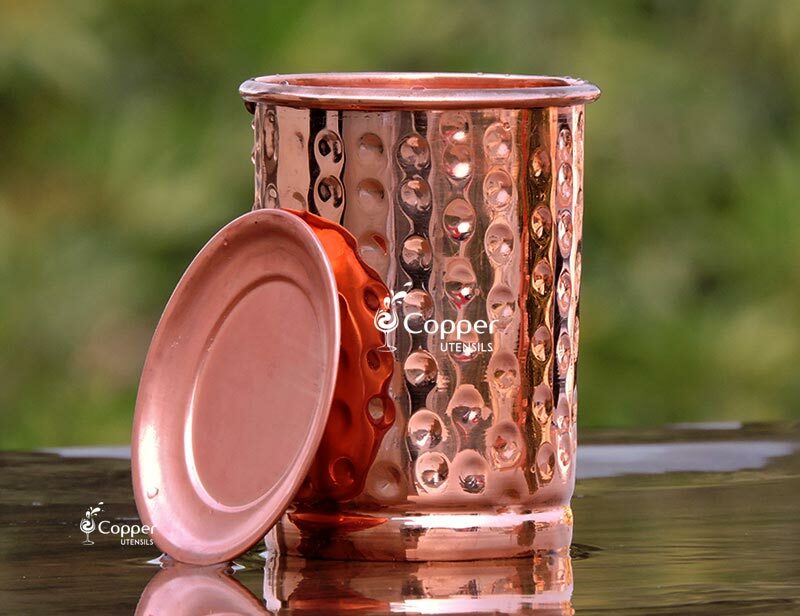 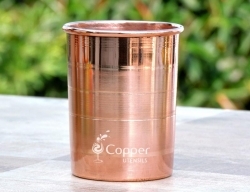 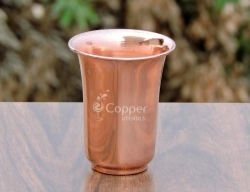 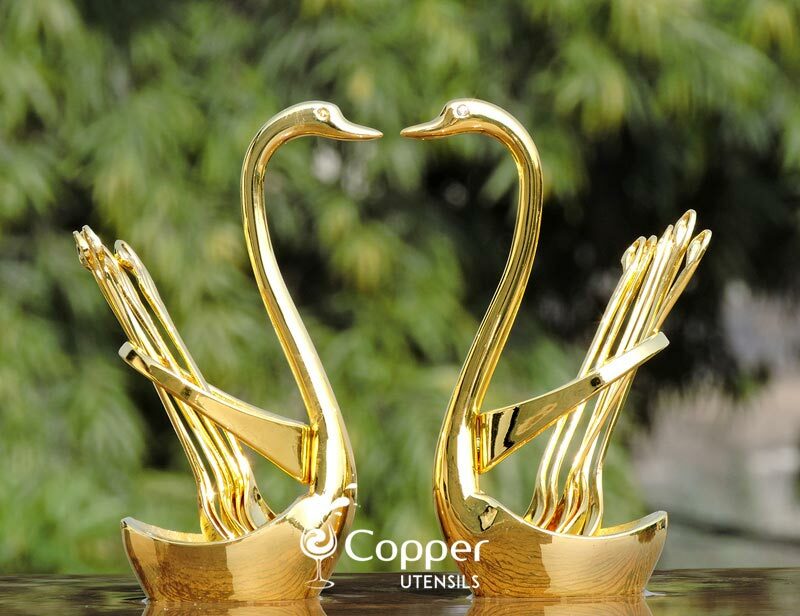 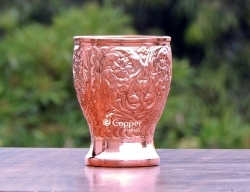 Our copper plated steel tumblers are perfect for serving water and other cold beverages. 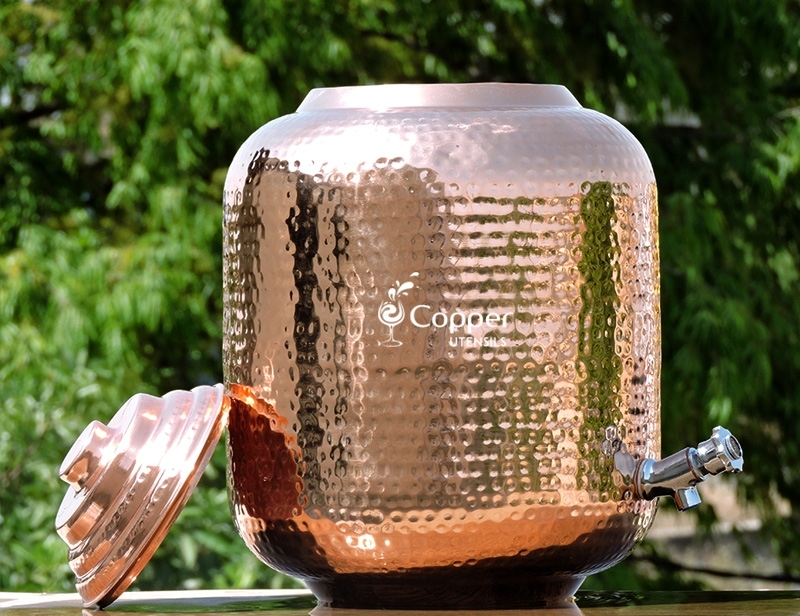 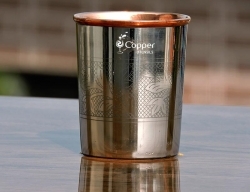 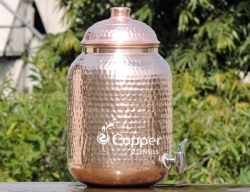 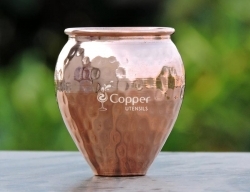 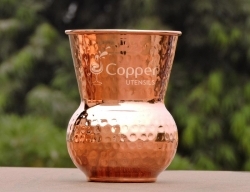 The tumbler is made of steel and is then coated with copper to give it a shiny coppery finish. 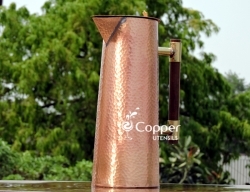 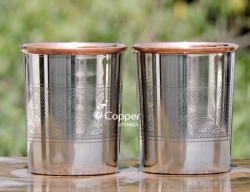 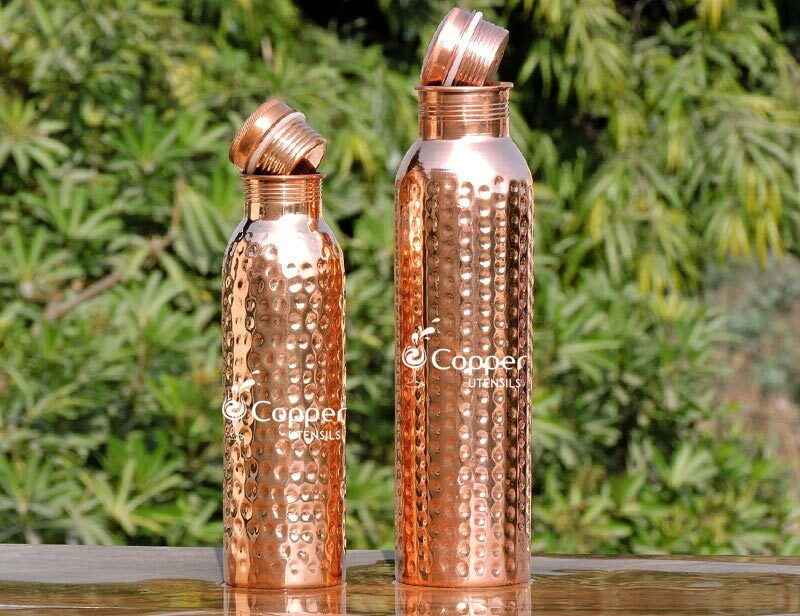 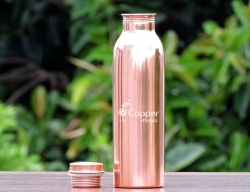 The tumbler set also comes with two matching lids made of pure copper, and copper plated steel stray to carry the tumblers.